Did you know that today is Pi-Day. Yes, it is 3.14 day. Also known as 3-14 or March 14th. Last year I shared several of my favorite pies for Pi-Day, which are all still favorites. Today I wanted to be sure to share a new pie recipe for pie day. 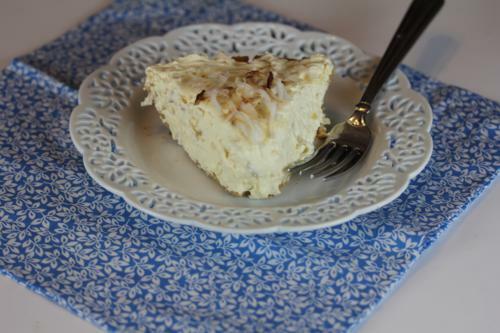 I thought I would share a quick and easy coconut pie recipe that I have been making for years. Now, really this pie is perfect for any day, but if you have a math lover in your family or want to make a fun treat for your kids today, this is perfect. Spread into crusts. Sprinkle with more coconut if desired. I like any day that celebrates pie! Your pie looks great! This pie looks scrumptious! 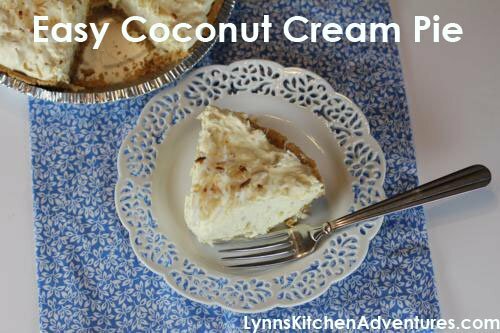 I absolutely love coconut cream pie and I can’t wait to try this one! Mmm, this pie looks so good. I have been on a coconut kick lately, I can’t wait to make this.